Marine winch is a kind of device used for marine operations including anchoring, mooring, towing, or heavy loads lifting etc; the winch is mainly made up of rope, cable or chain wound around a horizontal drum which can rotate, and the winch is turned by a crank or motor as needed. Since it is with wide application, the winch can be installed and used on a boat or ship, on the dock or shore, in a port or quay, on offshore platform etc for meeting different work requirements. If the marine winch is divided according to power mode, there are mainly marine electric winch, marine hydraulic winch, marine diesel winch, and also manual winch. These winches are powered and driven by different power types according to actual needs. 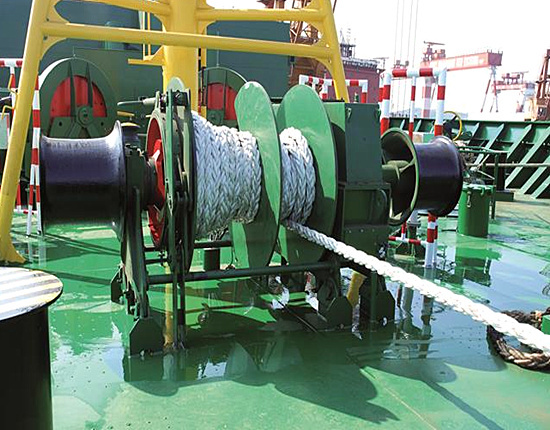 If the winch is divided according to the application, the marine winches mainly include anchor winch, mooring winch, towing winch (also known as tugger winch), cable pulling winch, moreover, there are also marine capstans including anchor capstan, mooring capstan and capstans used for towing operations. 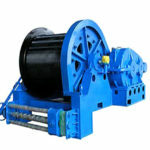 If the winch is divided according to the drum quantity, there are single drum winch, double drum winch and multiple drum winch (with three or more drums). As a professional marine winch supplier, we provide suitable winch solutions for our customers to suit their special requirements. The winch generally consists of electric motor, reducer, drum, brake, clutch, operating system, under-frame and wire rope or chain etc. The reducer is driven by electric motor or man power to make the drum rotate in order to let out or pull in the wire rope or chain. The rotating direction of the drum changes with the change of turning direction of the motor. Some marine winches have warping head which is used to wind but not store the rope. For special working needs, we customize the winches for the clients. Whatever kind of winch you are going to purchase, it is important to take the following things into careful consideration in order to make a right and suitable choice on the equipment. Firstly, take the winch quality as an important factor because a good quality winch solution can greatly facilitate your marine operations and ensure the safe work. If you select a low-quality one, the winch may break down anytime during the operations and need much maintenance. Secondly, consider the winch price with care to make sure you buy a winch with reasonable price. It is common that customers care much about the product price while choosing one winch especially when the customers need a winch with large pull force, because such a winch will be a big investment. Price is an importance factor but it doesn’t mean you only need to consider this one, otherwise, you may get a very cheap winch with low quality and it can not function well in long time. Thirdly, it matters a lot for you to be well sure about your actual work needs on the winch. If you are not clear about the actual needs, you may not get a suitable marine windlass for your operations. For example, you should know the rated load, the rope capacity, the rope or chain diameter and the power mode for the winch you need, with the above information, the winch supplier will provide you with a suitable solution. Fourthly, choose and cooperate with a marine winch supplier with good reputation and much experience. 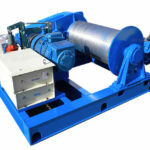 If you choose a supplier with little experience in designing and manufacturing marine winches, it is possible for you to get a winch with low quality and then it will be a waste of money and time. 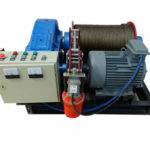 In conclusion, no matter what kind of marine winch you need for your operations, including electric winch, hydraulic winch, diesel winch, or winches driven both electrically and hydraulically, it is worth mentioning that selecting a good quality winch with reasonable price and excellent working performance will be a wise and worthy investment. As one of the experienced and reliable marine winch manufacturers in China, Ellsen has been in this business for a very long time, and various types of marine windlasses have been exported to more than 60 countries and regions. We have passed a variety of certificates on the winch and been qualified in designing and manufacturing winches to meet all kinds of requirements. We have professional teams engaging in researching, developing, designing and producing wide range of marine winches in order to meet different clients’ requirements. We have strict quality control and management system, which ensure the winch quality from the source to avoid low-quality or defective products. We have professional and excellent after-sale service to guarantee the safe and reliable work of the winches. We provide training and guide on installation and operation of the winch products to make sure the users can install and use the winch correctly and safely. The foundation for installing the winch should be strong and solid, that is to say, it should be in good stable condition. It is necessary to perform an overall check for issues to ensure the safe operation environment. The winch drum, brake, wires and line should be checked regularly and thoroughly to make sure that they work well all the time no matter the winch is installed on the boat, dock or in port. The ropes or chains should be reeled and arranged on drums correctly and evenly without twisting. It is forbidden and dangerous to leave a marine winch in gear with the winch band brake on. Always remember to install, operate and control the marine winches according to the safety rules to avoid the risks and accidents. Ellsen, as a subsidiary of Aimix Group, supplies all kinds of marine winches for our clients, such as anchor winch, mooring winch, towing winch, deck winch, barge winch, offshore winch, port winch, vessel winch, spooling winch, slipway winch and wide range of marine capstans. 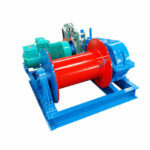 No matter what kind of winch or capstan you want, you can just get a perfect one from our company. If you are interested in knowing further about out winches or would like to select one for your marine operations, just contact us without any hesitation and you will get our reply very soon.